Commissioned by Manchester University and Sundae PR to create a new piece of theatre using installation, multimedia and live performance to showcase the research of The University of Manchester’s Migration Lab. 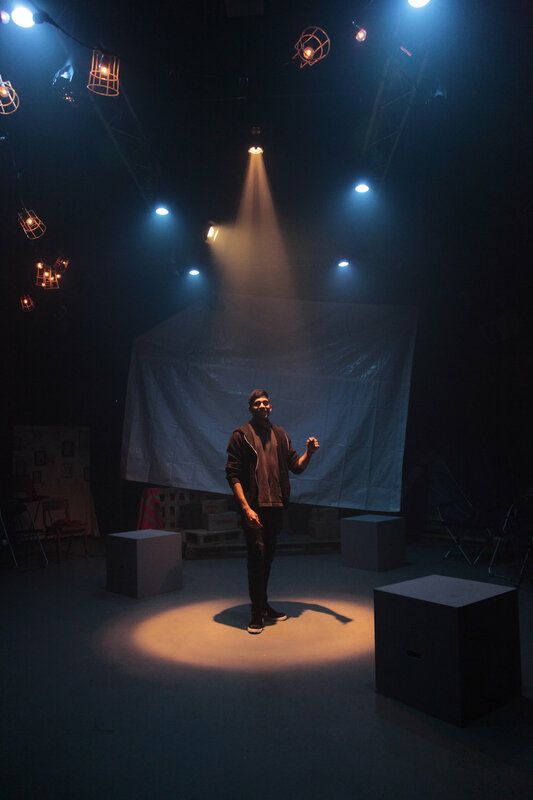 Based on people’s real stories and using every corner of Hope Mill Theatre, Be//longing took the audience on a journey through Borders to Belonging – a very unique theatrical experience. Shila Iqbal, Muhib Parwez, Sandra Cole, Lucie Labadie, Darren Jeffries, Louise Wallwein, David Macreedy. Matilda Glen, Sophie Mahon, Casey Longden, Grant Archer. Featuring Yandass Ndlovu, recorded by Grant Archer.